Your lower back supports almost your entire upper body weight. While numerous ailments can cause lower back pain -- which can be either short-term or long-term -- most issues stem from a mechanical disruption, meaning something physical. Usually, lower back pain occurs in the lumbar region between your lower vertebrae, right above your tailbone. Using state-of-the-art technology, Dr. Nick Ponomarenko of Flower Mound Chiropractic in Flower Mound, Texas, can figure out the cause of your lower back pain and prepare an individualized chiropractic treatment plan to get your back on track. Using imaging and information collected during an examination, Dr. Ponomarenko will develop a treatment plan to heal your lower back pain. Car accidents, trips and falls, and sports injuries are some of the incidents that can lead to lower back pain. In these cases, part of your spine becomes compressed, possibly leading to a ruptured or herniated disc. This causes pressure on the nerves surrounding your spinal cord, often causing you pain, tingling, and numbness in your lower back. In some cases, back pain comes from sciatica. Compression of your sciatic nerve, which runs down your buttocks and the back of your leg, causes burning or stabbing pains in your lower back. You may also experience weakness or numbness down your leg. Sciatica can stem from trauma, although it can also be related to a medical condition, such as a cyst or tumor pressing on the sciatic nerve or the attached roots. Sometimes, other factors contribute to your back pain. For instance, as you get older, the rubbery discs between vertebrae naturally break down, a condition known as spondylosis. Since these discs are essential for cushioning the bending of your lower back, you may experience pain as the discs deteriorate. Even skeletal abnormalities, from genetics and growth defects, can lead to abnormalities in your spine, resulting in lower back pain. Lordosis, an overly accentuated arch in your lower back, is one type of spinal irregularity that can lead to pain. Scoliosis occurs when your spine is curved like the letter “S,” although this condition doesn’t typically cause pain until after middle age. What are some of the treatments that Dr. Ponomarenko provides? With years of experience and specialized training under his belt, Dr. Ponomarenko offers several non-surgical treatments to relieve you of lower back pain. Chiropractic adjustments: A chiropractic adjustment corrects misalignments in your spine, restoring nerve transmission back to normal. Dr. Ponomarenko will apply a quick force to a certain part of your spine, either manually or with a specialized adjustment tool. 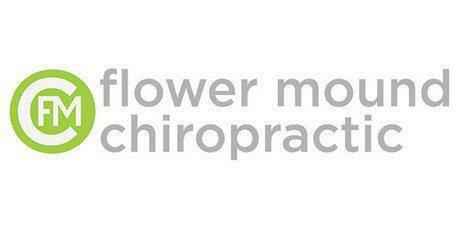 Wellness chiropractic: Chiropractic care includes your overall lifestyle. Dr. Ponomarenko and his team will provide tips on exercises you can do at home, as well as nutrition advice to minimize inflammation throughout your body. Massage therapy: Relieving muscle tension through massage therapy can further help relieve lower back pain. Dr. Ponomarenko has several licensed massage therapists on his team.